William Cook is an Assistant Professor in the Department of Computer Sciences at the University of Texas at Austin. His research is focused on object-oriented programming, programming languages, modeling languages, and the interface between programming languages and databases. Prior to joining UT, Dr. Cook was Chief Technology Officer and co-founder of Allegis Corporation. He was chief architect for several award-winning products, including the eBusiness Suite at Allegis, the Writer’s Solution for Prentice Hall, and the AppleScript language at Apple Computer. At HP Labs his research focused on the foundations of object-oriented languages, including formal models of mixins, inheritance, and typed models of object-oriented languages. 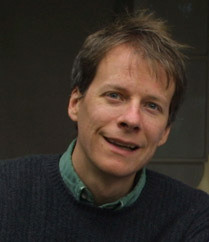 He completed his Ph.D. in Computer Science at Brown University in 1989.